Our Big Shot Collection of home accents, gifts and personal accessories are a huge hit with hunting enthusiasts. 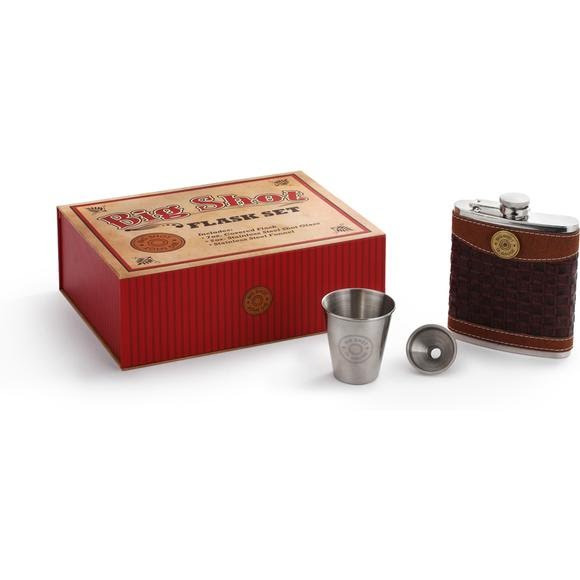 This handsome flask gift set features a leather-wrapped, stainless steel flask, stainless steel shot glass and funnel, each embellished with the distinctive 12-gauge shotgun shell design. Comes in a stylish, vintage-inspired gift box.